Another great benefit of CrossFit training is the speed with which the body responds. Because the basis of CrossFit training has you doing something different with each workout your muscles have to move in different ways constantly. This enhances the body’s ability to work through plateaus traditionally difficult in plain circuit training. In addition, it causes the body to respond very quickly, while at the same time combating against boring workout routines. There’s even some evidence of those that employ CrossFit training adhere to workouts more consistently. CrossFit London offers more than just CrossFit exercises and workouts, they also offer adult gymnastics, Olympic weight lifting, mobility, power yoga, animal flow, and strength and conditioning workouts. They also offer a great beginner strongman’s series of seven classes on level one that prepares you to go on to level two and their other more advanced classes. 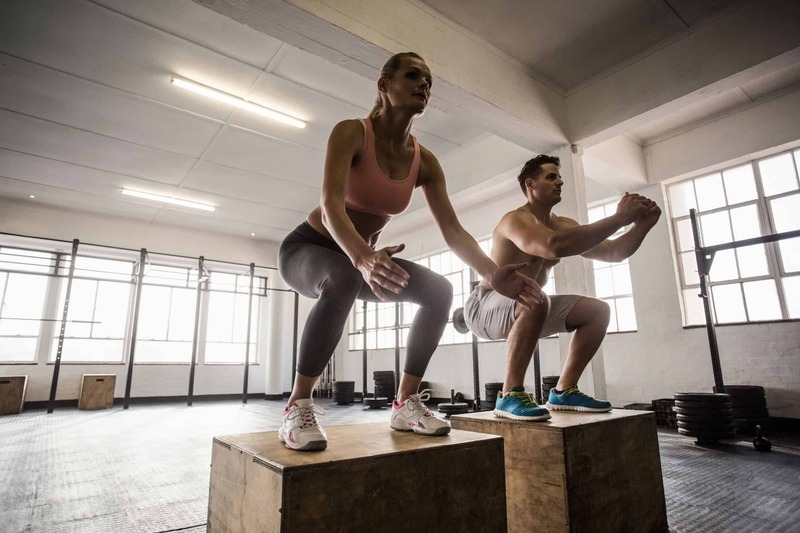 CrossFit North London is unique in that it offers some resources online like the workout of the day, and the recipe of the week, as many CrossFit athletes adopt the Paleo diet in order to gain muscle and lose weight faster. The other unique feature about CrossFit North London is that it offers classes for kids and teens as well, a very uncommon occurrence in CrossFit gyms. They offer a one hour 1-2-1 session with a “Synergy Personal Trainer” who will assess things such as your muscle tightness, weakness, and postural imbalance (Full body MOT). 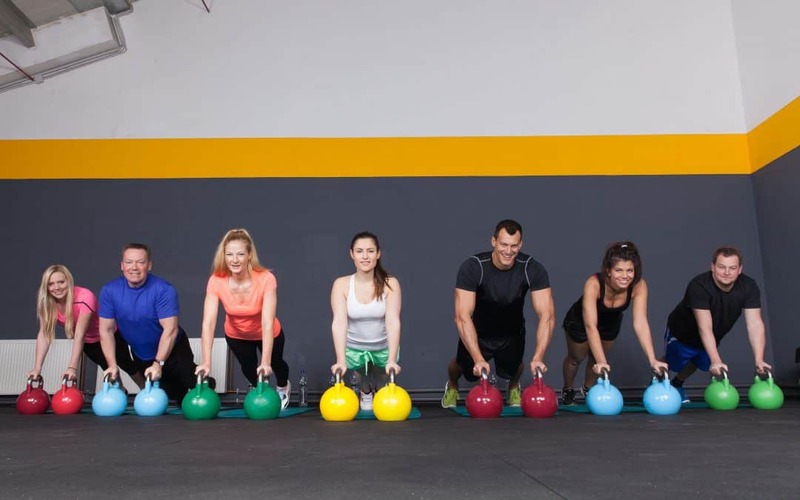 They do require that all members complete the foundation classes (unless you’re an experienced CrossFit user) before being able to sign up for the WOD classes. CrossFit Aldgate focuses on building a better you one step at a time, as a community. There is a good bit of emphasis on training together with others in an open atmosphere which is made to offer an instant network of training partners, competitors, and friends to help each other reach fitness goals all while enjoying the journey. CrossFit Aldgates community atmosphere really helps to encourage the new members and greatly reduces the intimidation factor one might feel when joining a new gym. Another differentiator for this gym is their use of online email and website interaction. Their facilities include a pull-up rig, Olympic barbells, power racks, gymnastic rings, kettlebells, rowers, plyo boxes, med balls, skipping ropes, and a boxing ring. They do have showers with locker room facilities and an onsite physiotherapist. CrossFit SE 11 makes their members a promise that they will not just look good naked, but the training will make you “faster, fitter, stronger, and more skilled than you have ever been before.” They back this claim up by teaching you the basic CrossFit regime, developing your pure strength with their periodized strength programmes, teaching you Olympic lifting and gymnastics. They offer the opportunity to sign up online and register for a free first class. Like most CrossFit gyms they want inexperienced individuals to complete their level one beginner classes before moving on to higher levels. Reebok CrossFit Thames has a very dedicated community of members who can’t say enough good things about both the facilities and the coaches. They also leverage the internet in offering their members podcasts, nutrition information, and an article of the week. They have an active blog that posts recipe’s on Wednesdays, such as today’s Chicken Schnitzel with Slaw. They offer strength training, gymnastics, and Met-Con classes in addition to lifting and weekend WOD’s. They publish daily WOD for multiple types of workouts and offer true value on their blog for those that logon. Their coaches are experienced and educated, and one of the owners is actually a personal trainer and onsite to offer encouragement and advice. Performance 360 has a few different things to offer in regards to their available training. Their emphasis on martial arts is unique and they teach the method of Brazilian Jiu-Jitsu in addition to the standard CrossFit workouts. Olympic weight lifting is also available, as is Brazilian jiu-jitsu for kids, a unique benefit not found elsewhere. Their facilities consist of 1500 square feet of open plan space with matted areas and a CrossFit and Strength & Conditioning Gym equipment which includes 12 Olympic bars, lifting platforms, over 1,000kg in Bumper Plates, a wall mounted pull up rig, gymnastic rings and plenty of kettlebells. Royal Docks philosophy is to create a welcoming environment; to help their athletes realize their potential, and to keep fitness fun. They also promote a strong community within the gym and offer beginner specific classes. It’s certainly one of the biggest facilities in the CrossFit game in the capital and the entire floor is matted. Royal Docks CrossFit is proud to be CrossFit’s 10,000th global Affiliate, stating the providing of exceptional functional fitness training to the East London area, near Canary Wharf. They offer sign-ups for classes online but they are a busy gym and some of their classes are waitlisted rather quickly. They too offer a blog which focuses on nutrition spanning topic of paleo, IIFYM, intermittent fasting and the like, but it’s not updated regularly, still the information it does contain is worthwhile. CrossFit Perpetua puts its largest focus on the community it has built over the last ten years, making it one of the most established of CrossFit gyms. They want their members to have a place to connect, make new friends, and new colleagues. They offer a number of team events and even host nights out that they say are not to be missed. They are big on offering a social and supportive network that will aid in your continued path to greater health and happiness. They have a sports therapist who began her career in 1997, and she works with athletes on current injuries and the prevention of injuries. Her toolbox of treatments in clued mobilization, corrective exercise, exercise prescription, acupuncture, sports massage, manipulations, ice therapy, trigger pointing, Kinesio taping, MET, and ultrasound. They too offer constructive and instructive blogs that are updated weekly. With two locations it’s evident that these owners know the CrossFit regime and can communicate it well to their members. Their classes utilize weighted and unweighted elements combined in challenging ways in order to elicit a strong physical response. Their classes range from gymnastics to Olympic weightlifting, all with an emphasis on technical instruction, systematic progression, and universal scaling. CrossFit City is a Premium Affiliate of CrossFit, and they offer a free trial class. For those unsure they want to jump right into a class they also offer a 1-to-1 Intro Session which can be booked online. For beginners, every Thursday night at the Victoria location is a hit.